MIL-STD-1553 is a military standard that defines the physical and logical layers, and a command/response time division multiplexing of a communication bus used in military and aerospace avionic platforms for more than 40 years. As a legacy platform, MIL-STD-1553 was designed for high level of fault tolerance while less attention was taken with regard to security. 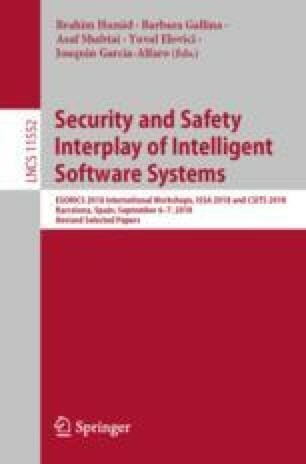 Recent studies already addressed the impact of successful cyber-attacks on aerospace vehicles that are implementing MIL-STD-1553. In this work we present a security analysis of MIL-STD-1553, which enumerates the assets and threats to the communication bus, as well as defines the attacker’s profile. A compromised RT can impersonate as another and set the ‘Busy’, ‘Terminal’, or ‘Subsystem’ flags in its status word and provide a falsely indication to the BC regarding a malfunction or inability to handle messages and thus disrupt the communication with that RT. Similarly, a fake BC can respond on behalf of the target RT and signal the BC to stop sending commands to the target component. – Threat agents that can control the timing of their transmissions can transmit messages at the time of choice. Sending unexpected messages to target components may result in failures.